I've signed up for a marathon. 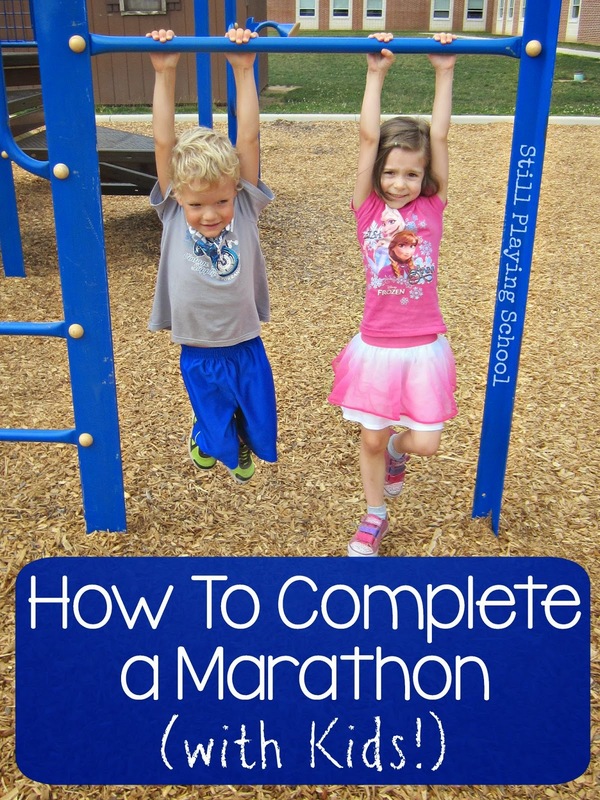 It's a Miracle Marathon, not only because it's something I never thought I'd do but because I'm going to complete it with my kids to help kids. Let me explain why this marathon means so much to us. Pictured above is our daughter E with her best buddy Everest. Before these two were born, Everest's mom Megan and I both had jobs at the same daycare. This was before we had any children of our own or many worries at all for that matter. As we watched other people's kids we quickly became friends who shared laughs and dreams of what our lives might become. We kept in touch after our daycare jobs were over and in 2009 both of us were pregnant at the same time with Everest and E! Megan was due in August and I was due in December. Knowing our babies would be so close in age we visualized how they would grow up together. We went out to dinner once with E & E still in our bellies calling it their first date! That date would be the only one we had while we were still pregnant together because Everest was born too soon. Thanks to the care he received at Penn State Hershey Children's Hospital Everest came home from the NICU within days of his due date in August. A few months later I had E and the two quickly became best friends just as Megan and I had imagined. Things were a bit different as Everest's milestones were trickier for him to meet. They learned to do everything side by side. Megan was one of my biggest supporters a few years later when we got a fatal prenatal diagnosis for our daughter Violet. She helped me navigate insurance questions, watched E while we went to multiple appointments, and listening to me list medical terms (so many of which she already understood) as I cried. Megan has been an unbelievable friend. After Violet died, the Kennedys had a star named after her for us and continue to help us remember her as the rest of our kids play and grow together each day. 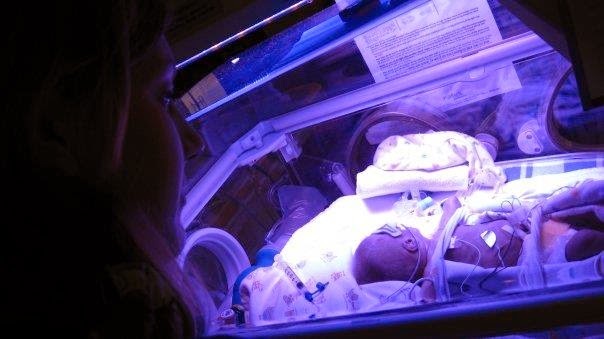 Our babies are both miracles in different ways. While we've endured more than any mother should ever have to we've also walked through it together. Today Everest is five and about to start kindergarten! While things have never been easy for him and he still struggles with difficulties he is the most amazing kid I know. In the picture above he was navigating this playground bridge and simultaneously coaching E through doing the same to join him. From homeschool preschool to day trips they still excitedly insist on doing everything together. Now they are planning to complete a marathon together, too! The great part about the Miracle Marathon is everyone from preschoolers to college students to busy parents to retirees can participate! You only have to pledge to move a mile a day from September 12th to October 16th. If you join our team (use the code MiracleDevany when you register) for this 27 day virtual fundraising campaign you can log your time while chasing your kids around the playground, walking to the library, or hula hooping together (20 minutes of movement counts as a mile)! The first 26 days are at your own pace (or that of your kids') and then on October 16th the final 1.2 miles will be started as a group at the same time (2:27 pm EST). It’s a marathon, plus a mile, for the kids! You can also choose to put your own team together at work or with friends in honor of a Miracle Child that you know to benefit your own local Children's Miracle Network Hospital. If you can't participate with us you can donate to our Still Playing School Miracle Marathon team which includes Everest and E. They will be recording video thank yous for each and every donation which we will showcase on our Still Playing School Facebook page! This post was sponsored by Children's Miracle Network Hospitals. While we are grateful for the opportunity, we have told and will continue to tell Everest's story with the most love, respect, and admiration possible! 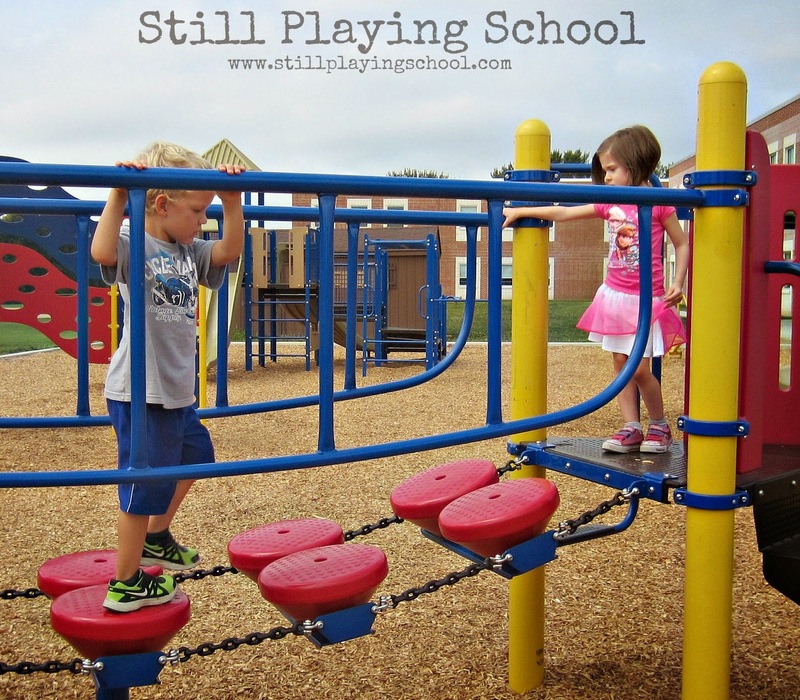 For more from Still Playing School please subscribe to our weekly emails for exclusive news, all of our posts, and free printables! What an amazing story! So glad Everest is thriving. I think I joined the correct way! Excited to be a part of this!